Boston – The U.S. Surgeon General’s Report on Smoking and Health, which was released today at the White House, highlighted the importance of litigation against tobacco companies over the past 50 years in the United States. Thanks to a landmark 2013 ruling by the Massachusetts Supreme Judicial Court (SJC) in the case of Evans v. Lorillard Tobacco Co., the Bay State is poised to become the most attractive state in which to file product liability lawsuits against tobacco companies. “The current state of the law in Massachusetts is that any cigarette that addicts or maintains the nicotine addiction of consumers is defective. This precedent in Evans will tremendously benefit smokers who are seeking legal redress against tobacco manufacturers in Massachusetts,” said Mark Gottlieb, Executive Director of the Public Health Advocacy Institute, which is based at Northeastern University School of Law. 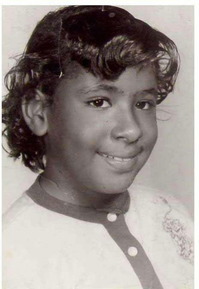 In the Evans case, a Suffolk County jury in 2010 awarded the son of Marie Evans, a woman who died of lung cancer in 2002 at the age of 54 after she had been given free packs of Newport cigarettes as a child at the Orchard Park Housing Project, $71 million in compensatory damages – a figure later reduced to $35 million. In June 2013, the SJC, while overturning an $81 million punitive damages award solely due to a flaw in jury instructions, upheld the compensatory damages award and ruled that it declines “to place addictive chemicals outside the reach of product liability and give them special protection akin to immunity based solely on the strength of their addictive qualities.” In October, Lorillard announced that it had settled the case for $79 million ($35 million plus accumulated interest) and dropped its threatened appeal to the U.S. Supreme Court. “The SJC’s opinion in Evans now stands as a landmark precedent, binding in Massachusetts and potentially persuasive in any other jurisdiction in the country,” said Edward L. Sweda, Jr., PHAI’s Senior Attorney. “Anyone who developed a tobacco-related disease from smoking any cigarettes (other than “ultra low tar and nicotine” cigarettes) in Massachusetts can now recover their damages from the cigarette manufacturer,” Sweda added. Massachusetts residents and their families who have suffered from a disease or death caused by smoking should contact PHAI. The majority of CCAs (16 states) may be interpreted to confer broad civil immunity for claims seeking to recover for health harms stemming from long-term consumption of food. The CCAs enacted in nine states (Alabama, Colorado, Georgia, Idaho, Illinois, Michigan, Missouri, Oklahoma and Tennessee) impose a limitation on the kinds of cases government attorneys can bring by specifically referencing governmental entities when defining the reach of the statute. Six states (Alabama, Georgia, Kentucky, Texas, Oregon and Washington) explicitly protect the authority of governmental entities to enforce certain food-related laws. Thirteen states impose substantial procedural barriers such as heightened pleading requirements and stays of discovery for covered obesity-related claims. All states had laws to guard against frivolous litigation in place prior to the enactment of CCAs. The health harms of tobacco are well-known and linked to corporate misconduct. In the late 1990’s, tobacco litigation brought by State Attorneys General resulted in individual settlements by four states to recover smoking-related Medicaid costs. Forty-six states and territories negotiated the Master Settlement Agreement securing annual payments of several billion dollars in perpetuity as repayment for smoking-related healthcare costs. Between 2008 and 2010, adult obesity rates increased in a total of 16 U.S. states, 11 of which are CCA states. The CCA states of Alabama, Louisiana and Tennessee are among the top five states with the highest rates of obesity, diabetes and hypertension. The current medical cost of adult obesity in the U.S. is estimated at $147-$210 billion per year, $61.8 billion of which is paid for by Medicare and Medicaid (Levi et al. 2012). The twenty-sixth CCA was passed in North Carolina in 2013 and they continue to be introduced in state legislatures. 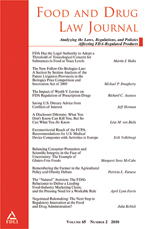 “A close analysis of CCAs reveals that the real point of the CCA proponents was not to prevent frivolous litigation, from which industry already had plentiful protection, but rather to limit legally and factually sound tobacco-style litigation, which might eventually have harmed industry’s bottom line and forced it to change its practices,” said Cara Wilking, J.D. “Beyond Cheeseburgers: The Impact of Commonsense Consumption Acts on Future Obesity-Related Lawsuits” was published in the Food and Drug Law Journal and is reproduced with the permission of the Food and Drug Law Institute. This research was supported by award #2R01CA087571 from the National Cancer Institute. The content is solely the responsibility of the authors and does not necessarily represent the official views of the National Cancer Institute or the National Institutes of Health.